Find out 2018 Tax Filing Deadlines in the calendar and fill out IRS Forms electronically. Easily download or send online. Must report incomes of all employees and independent contractors. You provide services on a contract basis & are not on the payroll of an employer. You work part- or full-time for wages or salary & are on the payroll of an employer. Form W-3 must be filed with the Social Security Administration. Form W-3 reports total income amounts, including Medicare and Social Security wages. Form 1099-MISC is used to report all amounts that a company or corporation has paid to independent employees for services. Form 1096 is the IRS tax form that summarizes information returns that have been sent to the Internal Revenue Service. Form 941 is called the Employer’s Quarterly Federal Tax Return and must be completed and filed by an employer to report witheld tax information. Form 1065 is used as an information return to report income, losses or gains, credits, deductions or other amounts from partnership operations. Form 1120-S, known as the U.S. Income Tax Return for an S Corporation, is used to report losses/gains, income, credits and/or deductions for S Corporations. Form 2553, or the Employee's Withholding Allowance Certificate, must be filled out and filed by companies that elect to be treated as corporations. Form 1040 is used to accurately calculate amounts that must be withheld from taxable income. Form 990 must be sent to the IRS by tax-exempt organizations to provide financial information for non-profit operations. Form 1040-ES is used to report income that is not subject to tax withholding such as dividends, alimony, interest, rents and earnings from self-employment. Form 1040 must be filled and submitted to the IRS containing correct information on taxes withheld from the taxable income. Form 4070, or the Employee's Report of Tips to Employer, is issued by the IRS for employees to report tip amounts to their employers. Form W-4 must be completed by an employee and sent to their employer with the purpose of withholding the correct tax amount from the employee's income. Form 1040 is the U.S. Individual Income Tax Return that is used to report an employee's annual income as well as taxes withheld. Form 1041 is used to report the income, gains or losses of trusts and estates subject to tax withholding to the Internal Revenue Service. Form 4868 is the Application for an Automatic Extension of Time To File a U.S. Income Tax Return. It is used to request a 6-month time extension for filing a return without penalty. Form 5500 is known as the Annual Return/Report of Employee Benefit Plan and is used for filing an annual return that reports employee benefit information to the Department of Labor. Get ready for the 2018 Tax Season with PDFfiller. Find out 2018 Tax Filing Deadlines, fill out IRS Forms and see for yourself all the benefits of electronic document management. When it comes to the tax season the main thing is to keep in mind all required documents and deadlines for submission. Many taxpayers have already discovered that preparing paperwork requires more time and energy than you can actually afford. Moreover, it is much more convenient to keep all necessary documents electronically and access them whenever and wherever is needed using any internet connected device. Same thing concerns deadlines. Not to forget the due date for a particular form you have to be especially attentive or, and this seems to be more realistic way, to keep all necessary dates right in front of you. Since there are several categories of taxpayers, you have to know what deadlines exactly apply to your category. With the help of PDFfiller online calendar there is no longer any need to worry about the upcoming tax season. Monitor your personal due dates and prepare forms, all in one place. The Internal Revenue Service requires individuals to stick to the tax filing due date. Violation of the terms usually leads to penalties. By preparing documents without delay, a person will receive their refund sooner and without penalty. To use the PDFfiller’s calendar for the 2018 tax season a person has to subscribe to receive notifications via email. This will remind to fill out required forms according to deadlines. 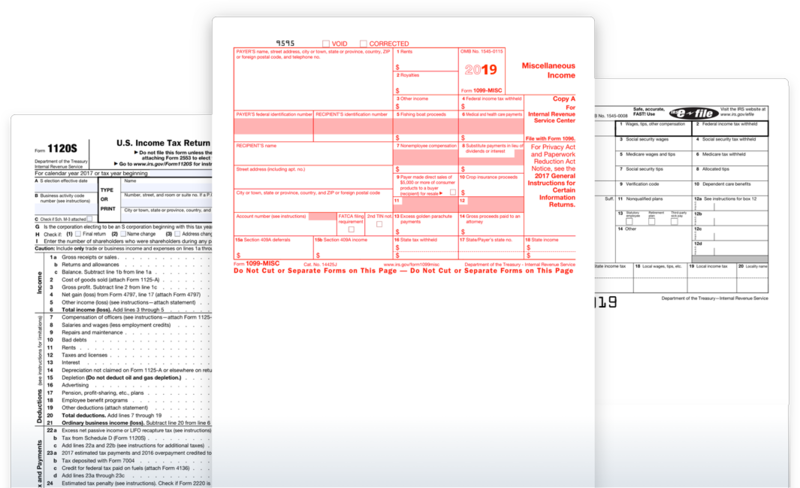 Create IRS tax forms and business calendars without losing deadlines. Try PDFfiller’s online calendar to manage your documents while on the go.